This two-part video tutorial shows you how to fabricate hybrid abutments using IPS e.max Press and the titanium bonding base Viteo Base. Viteo Base is the titanium bonding base from the materials specialist. 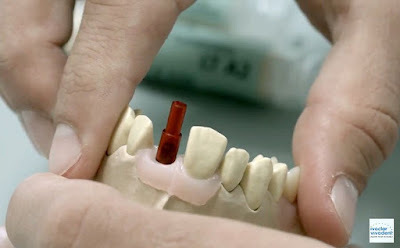 It is designed for the fabrication of implant-supported single-tooth restorations. The special soft-edge design of its bonding surface and the recessed rotation protection make this bonding base ideally suitable for CAD and press ceramics.